March 18 News | Jobs in Film, Radio, Audio. Katz Carter (Los Angeles, CA), graduate of Film Connection for Film Production & Editing is working hard to make his goals a surefire reality. To pay the bills, he’s taking catering jobs as well as shooting and editing wedding videos. Nevertheless, he’s seeing that once somewhat abstract goal of making his movie “the right way” move into focus, one step at a time. Katz has secured a producer for his feature film Full Method. He’s got his own production company off the ground. And along the way, he’s even got some stellar filmmaking advice from none other than Spike Lee! You recently started your own production company. What can you tell us about the process? What can you tell us about your experience learning with Film Connection mentors Bayou Bennett and Daniel Lir of Dream Team Directors? “The Dream Team Directors are amazing mentors…Even now, after graduating, they still answer my phone calls, answer my texts, help me out, and give me advice on a lot of things on the production side. So that’s really wonderful to have. As it turns out, that pitch package ended up making its way to Kevin Hart’s stunt double who’s now your producer. What’s your advice to aspiring filmmakers who want to start their own production companies? So we hear you got to meet Spike Lee. What advice did he give you? 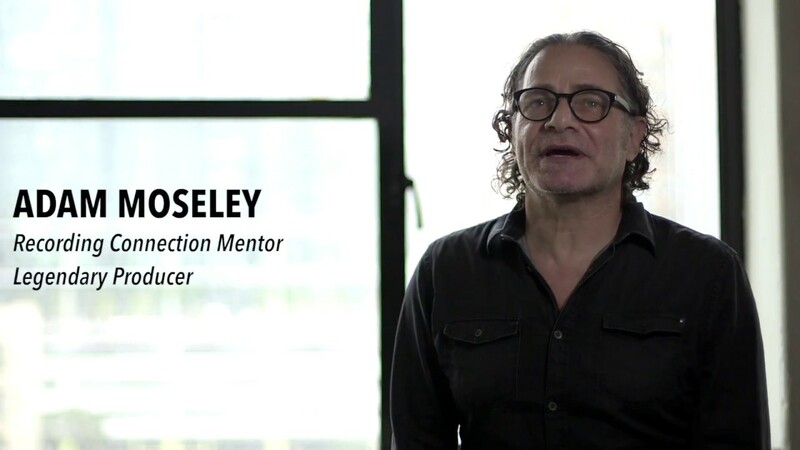 How can Film Connection students make the most of training with their mentors? View Film Connection’s in-industry programs. If you’ve been reading our newsletter for a while, you know we’re constantly encouraging our students to hone their abilities to make smart decisions right alongside their artistry and craftsmanship. Having interviewed producer/engineer and Recording Connection mentor Sean Giovanni of The Record Shop (Alabama Shakes, John Legend, Meatloaf, Universal) in Nashville, a number of times before, we decided to pick his brain on a specific topic. “How can adopting an entrepreneurial mindset help our students achieve their goals?” Turns out, we weren’t the only ones to consider Gio a good resource on the subject. In fact, the day after our face-to-face interview, he delivered a talk at NAMM entitled: “The Entreproducer: Building Success Through Passion.” Our own resulting interview with the trailblazing producer and entrepreneur was nothing short of remarkable, so buckle up! How can our students use an entrepreneurial mindset in order to grow their careers, their businesses, or both? “Where I tell students to start is to define what their purpose is. That’s something that we hear about a lot. There’s a lot of self-help people and motivational speakers that talk about ‘determine your purpose.’ It can sound a little cliché, but it is so intricately important to figuring out your direction with your career. When you have your purpose, you know that you’re meant to do something and you’ve committed to doing it, then it’s so much easier to stay consistent with it. Whenever we have tough times, feel like things aren’t moving fast enough…see other people excelling at a quicker pace and we get burnout or upset by that…we’re able to refer back to our purpose. We’re able to remind ourselves, ‘There’s a reason why I took this path.’ I figured out my purpose was to be able to help artists create a piece of art that would outlast themselves. I found this quote early on in my career by the philosopher William James who says, ‘The best use of life is to use it for something that will outlast us.’ That had a big impact on me. When I was growing up there were all these timeless recordings that inspired me to be a recording engineer and producer. Be part of creating that, because it’s something that can last forever and can have such a big impact on so many different people. So, for me, that’s the thing that inspires me… The next step after finding out what your purpose is, is to figure out a plan… Goal-setting is extremely important, but a lot of people start with the biggest goals. I did that, too. I had these major goals to achieve, and you’re so focused on the final destination that it’s hard to see the steps that you’re taking and how far you’ve progressed along the way… So [then] I started…focusing on smaller goals…The first high-end microphone that I bought was a Neumann U87. I looked at what my expenses were to survive. What I needed for rent, food, bills, and how much money I was bringing in. Then, I set aside a certain amount of money every month to put towards that microphone, and eventually I saved up enough to buy it. And when I bought it, that microphone had so much value to me because all those sessions and all that work led up to being able to obtain that. And then I replicated that process and I started to expand it and set larger goals. Once I was able to start building up equipment, then I had this vision for building a production company that would house a recording studio and develop a community that would help artists achieve their vision, and that’s what The Record Shop became. So in the process of doing that, I said, ‘Okay, well I have this small studio on Music Row which I’m working out of. It’s great for what I’m doing right now, but I can’t really track a full band in there, I can’t produce a major project. So I have to find other studios to do that.’ So my next goal [was], ‘Let’s get to a point where you can afford a lease on a larger property.’ So, I set that goal for myself to achieve within five years. In four years, I got to that point and was able to accomplish that…My next goal within five years was to be able to open up a larger studio with and multiple rooms [so] we could accomplish more. It took a bit longer. I had a five year plan to accomplish that. It felt like a good number to me, but the process took about six years to happen. But I had those steps along the way to help make it happen.” In your opinion, what’s the biggest challenge facing most creatives today? “The biggest challenge that I come across with producers and engineers that are just starting their career, and with artists, songwriters, [and] creatives in general, is that we oftentimes have a hard time balancing our creative aspirations with being a businessperson. In the modern music industry, most of us are going to end up being freelance entrepreneurs. So the word ‘business’ can sometimes be a dirty word to a creative. I like to use the word ‘entrepreneur’ because the idea of an entrepreneur is that they have their own creative direction, they can find their own path. They don’t answer to anyone except for themselves, which is incredible, but it also requires a significant amount of self-accountability in order to achieve at a high level. You don’t have someone that’s on your a_s if you mess up. You don’t have someone to make sure that you’re showing up for work on time every day and that you’re maintaining your schedule and that you’re working as efficiently as you can. You’re the only person that can do that. So it takes a lot of responsibility and commitment to make that happen.” So it sounds like being accountable is key. Do you regularly check in with yourself to see how you’re progressing at meeting your goals? “I’m accountable to myself every day. So before I leave the studio and complete my workday, I go over the list of things that I was supposed to accomplish that day and make sure that they’re all done. If there’s anything that I missed, I make sure that I work on it. I go through all my emails, handle all of the administrative stuff that I need to get done, and make sure that’s accomplished. It feels good once I’ve looked at everything that’s been accomplished that day. And the last thing I do is look at my schedule for the next day, and I visualize my entire day, from when I wake up until I’m going to be going back over the review of my day for the next day. And step by step, I go through that process and I say, ‘Okay, I get up, go through my morning routine of exercise and mindfulness and reading, and then I get into the studio. What’s my first session? What’s my first meeting? What do I need to do to prepare for that? When am I taking a break for lunch to make sure that I’m keeping my body fueled? …My entire day, I have visualized in my mind. And I say, ‘Okay, cool. I’m ready to go.’ That way every morning when I show up, there’s no question. I don’t have to think about where do I start, what do I do? I already know because I played it out in my mind a day before. So I’m ready to go after it.” Does having that discipline actually help free you up creatively? “Yeah. I don’t have to worry about anything because I know it’s going to be taken care of. I’m already on top of it. So rather than saying, ‘Oh, I’ve got to remember to do this thing or that thing,’ I already know…So if I’m involved in the production of something, I am 100% completely focused on that and there’s no distraction.” Learn more about Recording Connection for audio engineering, music production, live sound, Ableton, beat making and more. Check out the SoundGirls.Org website’s About Us page and you’ll see their unofficial mantra: “You Can’t Be What You Can’t See.” It is the organization’s mission to “inspire and empower the next generation of women in audio” by shining a light on women who are living it, every single day. Founded in 2013, SoundGirls is dedicated to fostering community as well as providing tools, knowledge, and support to individuals who are actively building careers in audio, sound, and music production. When we reached out to Karrie Keyes, the executive director and co-founder of the organization, and asked her to describe her role to us, she responded: “As Executive Director, I work with our co-directors and our chapter heads on developing programs. I oversee the day to day of running the non-profit and work with our volunteers to keep things running.” That’s no small feat considering that SoundGirls now boasts an international membership of more than 6,000 members with dozens of chapters worldwide. Also, never mind the fact that Keyes already has super important job —as the monitor engineer for Pearl Jam and Eddie Vedder — a post she’s held for the past 28 years! Since starting out in L.A’s punk circuit during the 80’s under the mentorship of Dave Rat of Rat Sound, Keyes has worked with an array of bands and artists including The Red Hot Chili Peppers, Sonic Youth, Fugazi, and Neil Young. We caught up with Keyes at The 2019 NAMM Show to learn more about SoundGirls and some of the issues women in audio are facing today. Your “Guide to Supporting Women in Sound” shares this bit of advice: “Don’t comment on someone’s gender, take interest in their work.” Why is commenting on someone’s gender before you learn more about their work probably not the best approach? “As women, that’s always the first question asked: ‘What’s it like being a woman audio engineer?’ Honestly, ‘F’ if I know. I have always been a white, cis woman. The question itself implies that something is wrong with me…I just want to be acknowledged as an engineer, an engineer that has worked continuously with a band for 28 years. That’s what I should be recognized for. Not my gender.” How did SoundGirls come about in the first place? What prompted you to found the organization? “I met the Michelle Sabolchick Pettinato while we were both on the ‘Women of Professional Concert Sound’ panel at the AES Conference in San Francisco in 2012…We had all been in the business for 20 years or more, yet most of us had never met before that day, and within minutes we bonded like long-lost sisters. We’d been asked literally hundreds of times in our careers: ‘Are there other women doing sound? How would a young woman go about getting into sound? How did you get into sound?’ It was basically a no-brainer after that.” What would you like girls and women who are considering a career in audio, sound, or music production to know? “That there are women and lots of them succeeding and having careers that they love. Never Give Up and DO NOT take NO for an answer!” Do you hope STEAM will lead to more females entering audio? “I think we’re making these jobs more visible and that more women are entering into the field. Many STEAM Careers also have wonderful support groups for women starting out in all fields. Just a few years ago, those resources weren’t available.” *Note: STEAM is an acronym for Science, Technology, Engineering, Art & Mathematics. What can studio owners and managers do to make their work environments more inclusive? “I am glad you asked.” Check out SoundGirls.Org’s 1st of the 5% posts on Instagram. Recent Radio Connection for Radio Broadcasting graduate Lady Rocka Chi, who trained with Victor Akoko of VPS Media, has a zeal for learning and discovery that’s downright infectious. Turns out, that curiosity goes way back: “This was a cool assignment. I reported the weather in sunny L.A and then in cold Boston…My mentor said I should smile [while] I’m reporting the weather and be friendly like I’m in conversation… I always wondered how I would do at reporting the weather. As a child, I used to practice playing ‘weather girl’…I thought it was interesting on TV…Then, as I got older and wiser, I realized the actual process. They don’t even have that board in front of them. Must take some getting used to when it’s all green screen!” Film Connection for Film Production & Editing student Aaron Weitlauf, who externs with mentor Zac Adams of SkyDive Films, is being trusted to work on professional shoots! In a recent blog post, Aaron talks about how, in just a matter of months, he’s learned valuable skills and become more self-assured: “My skill level at the start of this program in August was a beginner, a novice at best. I was brand new to a film set. Now, I’m directing my own videos and making promising relationships with clients as a filmmaker…I’ve kept [up] a great relationship with [director] Sergio Vazquez…On the most recent shoot, we were doing combat choreography in relation to fight scenes. Watching a seasoned director work with actors in a combat setting was insightful…I now have the confidence to properly square up two individuals in an intense action scene.” *Attention RRFC students: Would you like to be in our newsletter? Then, blog about your experiences. Tell us your story! 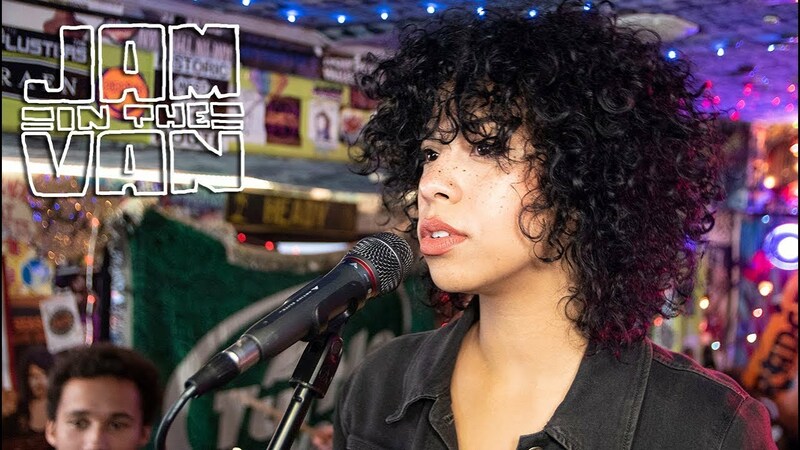 Recording Connection students Fay Garrison and Uriel Soto Jr. collaborated with engineer/producer Adam Moseley (U2, Beck, Lenny Kravitz/Nikka Costa, Spike Jonze) and Fender Musical Instruments Corporation: Learn more!